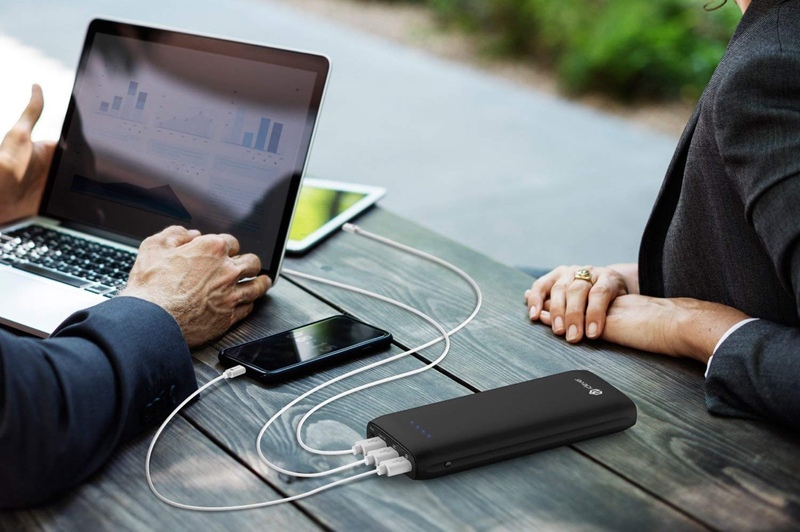 If you’re out and about looking for a massive power bank that can do USB-C Power Delivery as well then iClever has the most undeniable deal out there today. Power banks went from being an accessory to a commodity thanks to the booming smartphone and tablet market. But finding the right now these days can be a bit of a problem as many manufactures out there tend to fall short on their promises in a lot of ways with the consumer suffering the most in the end. iClever has made things really simple for a lot of users out there with a discount on its 20000mAh power bank which is packed with great features. This includes a USB-C port that can push out 30W of power allowing you to fast charge an iPhone, iPad Pro or even the latest Retina MacBook at full speed. That’s not all, if you bought one of Apple’s latest 2018 iPad Pro, then it’s a no-brainer to have this bad boy in your bag. Apart from that, it has multiple USB-A ports as well in case you don’t have a device that can do USB-C interfacing allowing you to charge up as you normally would. By the way, one of those USB-A ports feature Quick Charge 3.0, allowing you to fast charge compatible devices with up to 18W of power. In other words, it’s a darn fast way of charging things up. 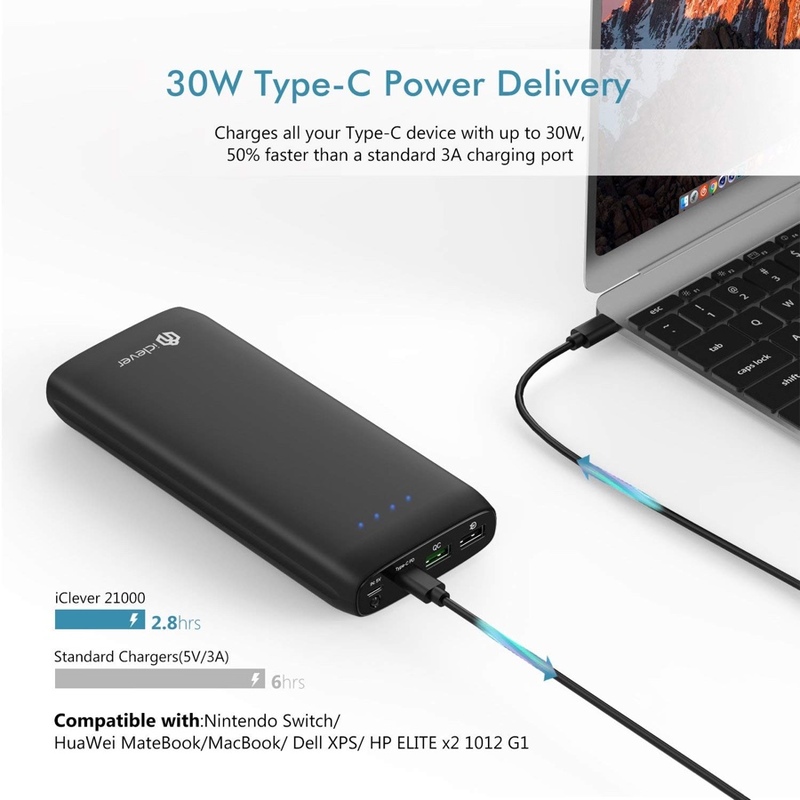 Last but not the least, you can charge up this power bank using a USB Power Delivery charger as well, and it will juice up in just 3.5 hours, which is wicked fast considering that a 10W charger will take up to 12 hours. Feeling the urge to buy this marvelous product? Hit the link below then. Don’t forget to apply the discount code at checkout to get your deal.